PETALING JAYA (Sept 30): The Real Estate and Housing Developers’ Association Malaysia (Rehda) wants the government to forego the stamp duty on property, after the implementation of goods and services tax (GST). 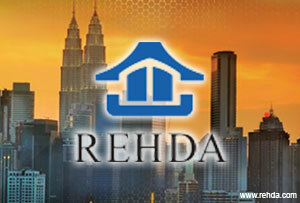 Rehda argued that the GST and stamp duty would tantamount to double taxation. Rehda past president Datuk Ng Seing Liong said the implementation of the 6% GST beginning April 01, 2015, together with the stamp duty, would burden house buyers. This is because the tax they have to pay would hit 10% of the property price, Ng told a press conference in conjunction with the upcoming Malaysia Property Exposition (Mapex). Mapex is scheduled to be held on Oct 10 to 12 this year. In a memorandum sent to the government on Rehda’s wish list for the Budget 2015, Rehda called upon the government to categorise affordable housing with prices below RM400,000, as “zero rated” under the GST. This means the developer would not pass down the cost to the buyer, as developer can claim back the output cost. Currently, residential housing is exempted from the GST. This means house buyers will not be subjected to the tax and developers cannot claim back the tax they paid. Ng said the proposed GST structure for residential housing would burden developers. “This will slightly increase the construction cost of affordable housing,” Ng said. He also pointed out there were some areas in the supply chain that the government needed to look into, upon the GST implementation. These include issues involving building material distributors and land owners in a joint venture. Citing examples, Ng said the profit margin for building material distributors was between 1% and 2%. Hence, the 6% GST is deemed high for building material distributors. Rehda urged the government to reduce the 6% tax to between 1% or 2%. Looking ahead, Ng said Rehda foresaw a quiet period after the GST implementation, as house buyers will observe and see if the property prices would be reduced. “Definitely, the reaction will be there. GST is a broad base consumption tax that will benefit the country in the long run, but must be implemented properly,” Ng said.